If you have any ideas for future meetings, speakers or themes for meetings please let us know. If you're not a member of Wanstead WI please see this information about attending our monthly meetings. 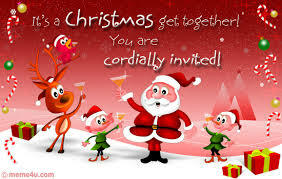 There will be a Christmas Raffle and a Secret Santa – a gift valued to £5 wrapped as a cracker. Wear something festive and remember your food, plate, glass and cutlery. Don’t bring bread, cheese, crisps or mince pies. In 2011, Frances won the Women's Institute national upcycling competition, to promote sustainable fashion, with her little black dress made from old tights. At the monthly meeting Frances told us about her work with the national WI on a project to support fashion students at Kingston University. She showed us the finished items and the development materials. We also voted on the resolution we'll support for the national meeting in June. Information on the resolutions can be found here and the results will be posted shortly. Sarah Campbell co-founded the textile design partnership Collier Campbell with her sister Susan Collier in 1979. They had already worked together for years producing original designs for apparel and the home with Liberty of London Prints, Cacharel, Soieries Nouveautés, Jaeger, Habitat, PKaufmann, WestPoint and many others in the UK and the USA. They were the first women to win the Duke of Edinburgh designer prize award for their Six Views fabric collection. Sarah now works independently under her own name, designing for new surfaces, from one-off special commissions to stationery to textiles for the high street. Currently her continuing collaboration with West Elm, the US homeware company, gives a worldwide presence, as do her fabric collections with the US-based company Michael Miller Fabrics. Nearer home recent work includes adventures into glass with Michael Ruh, a range of cards with Roger la Borde, and an new collaboration for homewares and ceramics with the UK-based company Magpie. At our meeting Sarah will be selling some of her items, such as printed greeting cards, hand made archive cards, calendars, painted creatures, printed silk scarves, hand painted silk hankies, at a 10% discount to Wanstead WI members. Jeanne runs a popular evening class at Wanstead House and is very good at getting novices to write with confidence. She asks you not to be put off by the idea of writing for pleasure. Wanstead Women's Insitute voted to support both resolutions being presented at the Annual Meeting in Brighton on 11th June. 38 votes for, 6 votes against. 45 votes for, 0 votes against. Detailed briefing notes on avoid food waste, address food poverty and appropriate care in hospitals for people with dementia is available. Also at the meeting, Cathy Unwin and Frances Cowper-Haulzhausen showed us the final panel we are contributing to the Essex Federation centenary heritage panel and the work that went into developing it. You can read more about how our panel was developed and the overall panel in the May newsletter. The sight of more than four thousand women converging is always awe-inspiring (or terrifying, depending on your point of view), but converge we did and everyone managed to find their way to their allotted seats before the meeting started. As usual at these events, the sound and visual technology is first class, so voices could be matched to faces and identified. Chair, Janice Langley, welcomed delegates, observers and Federation representatives, and we all sang Jerusalem. We then went through the standard procedure of appointing tellers and returning officers and the adoption of standing orders. Janice then gave her address as Chair, followed by the Hon Treasurer’s statement. Julia Roberts, the Treasurer, explained that – although expenditure had exceeded income in the year under review – this was more than covered by the reserves. Denman, unfortunately, continues to make a loss. We then debated the first Resolution – appropriate care in hospitals for people with dementia. It became very clear what an emotional subject this is for those with personal experience either as carers or professionals, and many delegates queued up to speak. Sadly, time ran out before all had been heard, although many had the same story to tell. When the votes had been counted, the Resolution had been carried with a 79.4% majority. The first guest speaker was Rona Fairhead, Chairman of the BBC Trust. Unsurprisingly, her talk included the hope that the Corporation should be able to maintain its independence. At the end of her very entertaining speech, Ms Fairhead answered questions from the floor. After this and before we adjourned for lunch, the Lady Denman Cup and the Huxley Cup were presented. After lunch and a breath of seaside air, we returned to the Hall where our first task was to ratify a constitutional resolution concerning the right of a Federation to become a charitable incorporated organisation. Then it was on to the second Resolution – avoid food waste, address food poverty. This provoked some lively discussion and, again, much input from delegates before the vote was taken. When the result was announced later, the Resolution had been carried by a majority of 93%. Then we heard the second guest speaker, Baroness D’Souza, Lord Speaker. She gave an eloquent account of the workings of the House of Lords and why it is still relevant and necessary, despite being an unelected house. She also answered questions from the floor. Then we had a summing up and closing remarks, before we finished the afternoon with a ‘Last Night of the Proms’ style sing-song which included many proms favourites as well as “Sussex by the Sea”. We sang both English and Welsh national anthems, and Happy Birthday to celebrate the Queen’s 90th Birthday. Adam Saunders, the vibrant young conductor, pianist, composer and workshop leader, who, last year conducted the local choir Upbeat, will be leading a "singing from scratch" workshop. ​Adrienne Press, one of only a handful of female performers of Punch & Judy, joined us to show us her puppets, handed down from her grandfather to her father and then to her, and to tell us a little bit about the traditions behind Punch and Judy and how she's adapted the show to suit modern audiences. ​Traditionally Punch Professors have been men, but it is not strange that Adrienne should be involved since she is steeped in the tradition and comes from one of the most influential Punch and Judy families of the 20th Century. So it is easily understood why Adrienne is so enthusiastically following the family tradition and she performs Punch and Judy at parties and events, indoors and outside. But as a qualified teacher she also takes her puppets and artistic abilities into the classroom. Our theme is the Queen’s 90th birthday, please dress in patriotic red, white and blue. We're having a bake-off too. As usual, we're encouraging members to bring a dish, sweet or savoury, big enough for four portions, to share on the night. The Committee will provide hot & cold drinks, bread & cheese. And as we're not women who like washing up, please bring a plate, cutlery, a glass & a cup to use on the night, which you can take home & put in your own dishwasher. Len Banister is chair of the Ramblers Greater London Forum, a prolific route deviser and author of guides to walking routes. An interesting talk for many of our members keen on walking. Len will be bringing a selection of walking books for sale. These are small, interesting, well written and well-illustrated books that make good presents and ' stocking fillers'. Wanstead Flats accommodated more than 100,000 Italian prisoners of war in early 1941 and served from 1939 to 1945 as the location of smaller sub-war camps to the larger prisoner of war camp located on Carpenter’s Road, Stratford. Mark and Peter, members of The Wanstead Flats Working Group, a sub-group of the Leyton and Leytonstone Historical Society, will tell us what their three year research project has discovered about the Flats and PoWs. WWI business at this month's meeting will include an update on our programme for 2017 and news about a ‘silver donation’ to the Rural Women campaign that we're planning to make. ​Sarie Miell is Fused & Fired, a Wanstead-based jewelry maker who uses a wide selection of precious and non precious materials to create contemporary wearable pieces of art. She is also a long-standing member of the WWI (one of our many creative members!) and this month she'll be showing us how to make snowflakes.